Large tree falls across Massachusetts Avenue in NW D.C.
WASHINGTON – Massachusetts Avenue near Macomb Street NW is blocked to traffic Sunday night due to a fallen tree. 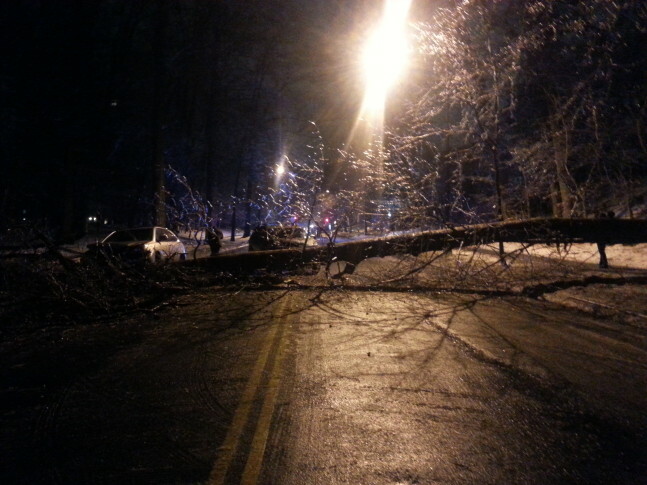 A large tree fell across Massachusetts Avenue around 7 p.m., and two SUVs ended up hitting the tree. No injuries were reported. It is unclear exactly how the tree fell. Massachusetts Avenue reopened at about 9:30 p.m.